Imagine never having to worry about losing your keys again just because you have a picture of it stored on your smartphone? 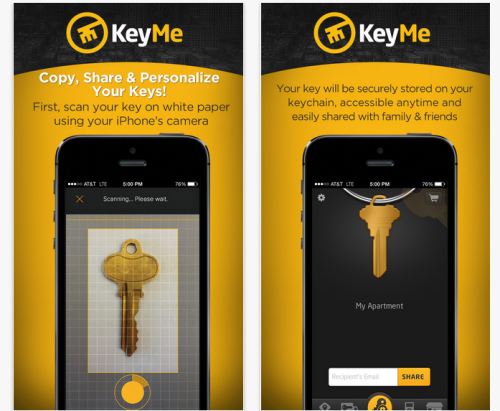 That’s the premise behind KeyMe, a new iOS app that will 3D print you a copy of any key that you have a picture of stored on your mobile device. We know what you’re thinking: This has disaster written all over it.CNET’s Nick Stratt asked KeyMe to talk about about some of the safeguards it’s putting up to make sure that people can’t just take pictures of your keys and have them 3D printed to use for nefarious reasons. The company responded that while it considers such a scenario unlikely, it has still taken some steps to prevent it from occurring. Whether this is enough for you to put your trust in the app is entirely at your discretion. Check out KeyMe’s official App Store page by clicking here.